As a Ravenel by-blow spurned by his father, Ethan has little interest in polite society, yet he is captivated by the bold and beautiful Garrett. Despite their vow to resist each other after that sublime night, she is soon drawn into his most dangerous assignment yet. When the mission goes wrong, it will take all of Garrett’s skill and courage to save him. As they face the menace of a treacherous government plot, Ethan is willing to take any risk for the love of the most extraordinary woman he’s ever known. I loved this book! I have been a huge fan of Lisa Kleypas for a long time but for some reason I haven't read a lot of her work during the past few years. 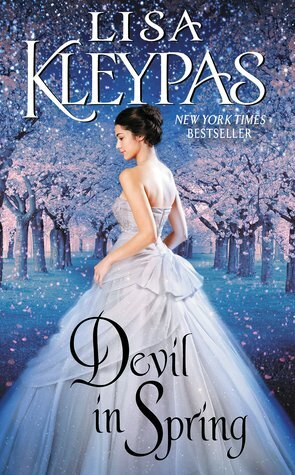 I can see now that this has been a big mistake on my part and that I should have made time for the Ravenels series because this was oh so good. I loved it on the first page, the last page, and all the pages in between. The characters in this book were amazing. Dr. Garrett Gibson was such a refreshing character. She was willing to do what made her happy instead of what society expected of her. Can you even imagine the guts it would take to be the only female doctor in England? Garrett had the toughness needed to excel in her profession. Ethan Ransom was so easy to like. He started out as a bit of a mystery and worked to help keep Garrett safe. The more we learned about Ransom the more that I liked him. Garrett and Ethan were wonderful together. I love that we get to see them with each other at the start of the book and the chemistry is there from the start. It only grows stronger as the book progresses. Ethan quickly showed that he is a romantic at heart and his words had me swooning quite a few times. While the chemistry between them was off the charts, they also really showed a lot of respect for each other and just seemed to enjoy being in each other's company. These two just belonged with each other. There are some pretty exciting moments in the story. I did worry about how things would work out for a little while. There are some pretty serious nail biting moments in this book and a few characters that seemed to make the perfect villain since they were easy to hate. There are also some really lovable secondary characters in this book. I haven't read the other books in the series so I am not sure if West has played a large role in the other stories or not but I loved him. Just as Ethan had the ability to make me swoon, West often made me laugh. I really hope West gets his own book very soon. I highly recommend this book to others. This book had all of the elements that I hope for when I pick up a romance with a fantastic plot, amazing characters, off the chart chemistry, a few laughs, and moments that melted my heart. The only thing about the book that I am not sure that I like is the cover. I think that the cover is very pretty but it looks way too modern for the story. 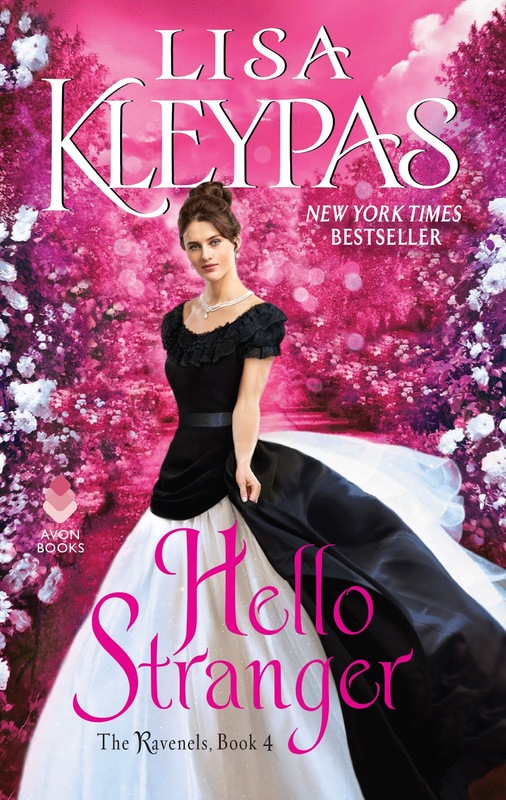 I can deal with a cover that I am not sure about because watching Garrett and Ethan find their happily ever after was a wonderful reading experience. I am definitely going to be reading the other books in the series very soon. I received an advance reader edition of this book from HarperCollins - Avon. 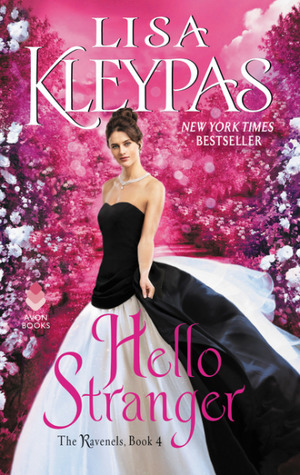 New York Times bestselling author Lisa Kleypas graduated from Wellesley College with a political science degree. She is a RITA award winning author of both historical romance and contemporary women’s fiction. Her novels are published in fourteen different languages and are bestsellers all over the world. She lives in Washington State with her husband Gregory and their two children. I am thrilled to have the opportunity to give away a copy of Hello Stranger to one lucky reader of this blog, courtesy of Avon Books. Those are my exact thoughts about it. Kleypas is a fantastic writer! I love Lisa Kleypas! I have no idea why I haven't read this series but this one especially is calling to me! This book works great as a stand alone,Katherine! It has been quite some time since I read a Kleypas book! 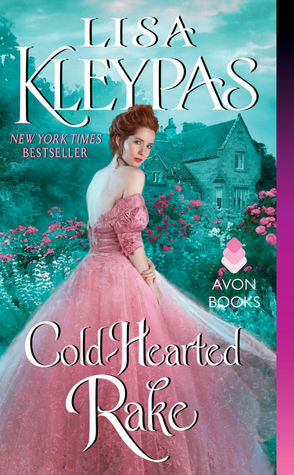 I read Cold-Hearted Rake in 2015 (I think it was 2015?) but haven't read one since. I liked that one, despite thinking I wouldn't. :D I'm glad you enjoyed this new one, Carole! I still need to read the rest of this series and am really excited about it after reading this book. Good luck!